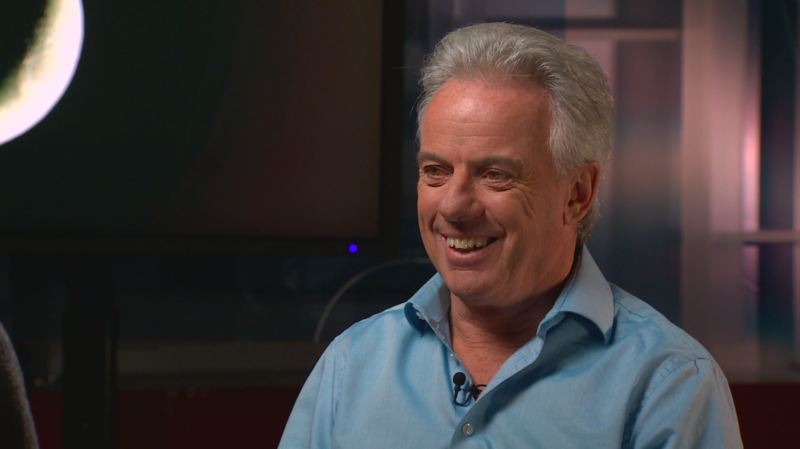 For over 40 years Bob McDonald, the host of Quirks and Quarks on CBC, has been sharing stories of science. McDonald has written multiple books, is a CBC science correspondent and commentator, and has hosted various television shows and documentaries. Since 1992 he’s been the host of CBC’s award winning radio program Quirks and Quarks, which listeners tune into on Saturdays at noon to hear about the latest scientific discoveries. In 2011, Bob McDonald was appointed an Officer of the Order of Canada. McDonald is at the University of Alberta on November 20 for his public lecture, Perspectives on a Planet. The next day, he will be receiving an honorary degree from the U of A. The Gateway: So Bob, you’re one of the most well known science communicators in Canada. What began your interest in science? McDonald: Well I grew up in the space age, during a time when we were going to the moon. And they were saying we would be going to Mars and we were going to have holidays in space and hotels in space and all that. So I got caught up in all that as a kid. I’ve just always been fascinated with science, and not just space science but just the way that science looks at the world. It’s a really neat way to appreciate the world around us. How did you get involved in science communications? I kind of fell into it. I was actually a truck driver for a little while because I dropped out of school. An opportunity came along to work at the Ontario Science Centre in Toronto and I got a job there making science fun. Standing people’s hair up with static electricity and stuff like that. Every once and awhile the media would call up and ask for someone to come out and talk about a science story. So I was appearing on programs and word just sort of got out that there’s this guy who can talk about science and is funny. And one thing led to another. So you’ve been working on Quirks and Quarks since 1992. Has there been a particularly outstanding moment you’ve had while working on that show? Boy, outstanding moments happen all the time because I’m always talking to scientists that have just found new stuff. There’s so much about the universe that we don’t know that we’re still finding out. Or we think we’re finding out but we still don’t know a lot. There was a moment in 1999 where we were preparing for the new millennium and there were six people who had won the Nobel Prize who were coming to Toronto for a conference. We managed to intercept them on the way to their event to come into our studio and talk about what they thought about the future. So here I am, sitting in my studio and on the opposite side of my table are six guys (unfortunately they were all men) and each one of them had won a Nobel Prize. And they were talking to me. I couldn’t believe it. And meeting Stephen Hawking that was also kinda neat. What’s the process of finding notable stories and finding people who have reliable knowledge on the topic at hand while working on Quirks and Quarks? My producers do all the heavy lifting. I’m just a pretty face on the radio. They are very dialed in to all the embargoed releases from scientific journals, and from university press releases, and other publications. We always phone up the lead author on a paper. And see if they know how to talk. Because we need a good story but we also need good storytellers. And very often, the stories don’t make it to air because the person cannot communicate well. Each show comes together each week. That’s why I don’t know what’s coming in the future. For me it’s always fresh. And sometimes there’s quite a steep learning curve because at 10 o’clock it’s black holes, and 11 o’clock it’s some new gene that they found, and 12 o’clock it might be some environmental story. So I’m switching gears all the time. It keeps me thinking. What is, in your opinion, the importance of science communications in this day and age? We have never lived in a time where science is so influential in our lives. At the same time, these inventions that we have and our own population is changing the planet. So we have to make some hard decisions on how we’re going to live in the future. Science has some interesting solutions to our problems. That’s why we need an understanding of the science. So we can understand the problem and understand the solutions. Do you think the way that we’ve communicated science has changed? Absolutely. You can get all the science you want on your phone. That has created another issue. You can go on the internet and you can stream programs from around the world. Or you can go to university websites or journal websites and get the science directly. But what the internet is also doing is that it has also enabled pseudoscience and conspiracy theories to spread information that looks scientific but is not. And it’s a challenge for people that are trying to understand science to tell what’s real. And I think that’s as important as the science itself is to tell what’s real and what is on a different agenda. Do you have any advice for students interested in going into journalism or science communications? Well there are some fine journalism schools in this country to learn the tools of the trade. But the other way if you’re really keen and impatient is to do it, is to pitch a story to whatever medium you’d like to work in. Make sure it’s something that you are interested in that you know something about, and then package it to the particular medium. Then just pitch the story and say, “Hi, I have a story and you need me to write this story for you.” And see what happens, just see what happens. I’ve done it and it works. You’re receiving an honorary degree from the U of A and have received a ton of other awards, as well as an Order of Canada. What’s it like being recognized for your work in this way? I never got a university degree. So it’s just divine to get my education in a different way and to be recognized for my work. For almost 40 years now I’ve been trying to communicate science to the public and I’m deeply deeply honoured by that. And it makes me want to live up to that honour and do the best I can to continue my work and try to bring science to the public. You’re going to be giving a lecture at the university on November 20, can you give us a bit of an idea on what we can look forward to hearing? I’m going to take you on a little journey away from the Earth to other worlds across our solar system and out to planets going around other stars to see some of the incredible places out there. And then take your back to appreciate how special the Earth is. Because we have yet to find a planet like it.